There are few ingredients that evoke the tropics as successfully as a coconut, its pale green husk conjuring up visions of white sandy beaches scattered with swaying palm trees. The name ‘coco’ was given by the early Portugese and Spanish explorers who first brought the coconut to Europe – its brown hairy surface reminded them of the Iberian bogeyman, a mythical hairy monster called El Coco. 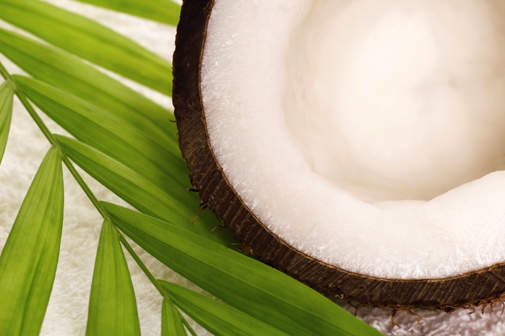 Once in England the suffix ‘nut’ was added – and the ‘coconut’ was born. Actually the Cocos nucifera is not a nut, but rather the world’s largest seed which grows on the coconut palm, a native of Malaysia, Polynesia and southern Asia. A propensity to grow in coastal regions, combined with a light and buoyant nature have allowed coconuts to drift across the ocean and propagate in other regions, they now proliferate in South America, India, the Pacific islands and Hawaii. It is estimated that nearly one third of the world depend on coconuts as a dietary staple and as a mainstay of the economy. The highly nutritious fruit provides flesh, juice, milk and oil, and is rich in fibre, vitamins and minerals. In Sanskrit, the coconut palm is known as kalpa vriksha, meaning “tree which gives all that is necessary for living,” because nearly all parts of the tree can be used in some manner or another. In Indonesia the young green coconuts are called [kelapa muda]; they are picked for their juice/water which is high in mineral content and rehydrating properties and make a great cure for stomach ailments and fever. The young tender flesh is scraped out, and used in drinks, ice cream and soups. Coconuts at their middle stage of development are called [kelapa setengah tua], the flesh is still semi soft, and can be grated and used to coat rice flour cakes known as klepon. The more mature coconuts are called [kelapa tua] the harder flesh can be grated and dried (dessicated coconut) and also made into coconut milk by squeezing the flesh through cheesecloth, the thick creamy substance is commonly used in cooking, particularly curries and stews. Leftover flesh is shredded and mixed with vegetables or turned into the sweet and spicy [serundeng], which is sprinkled on rice or added to beef. For thousands of years the coconut has been revered in traditional medicine, as a cure for asthma, bruises, constipation, dysentery, jaundice, kidney stones, skin infections, upset stomach, and wounds and many other ailments. Coconut Oil has been described as one of the healthiest oils on earth; although it is high in saturated fats, it is composed of medium-chain fatty acids (MCFA) which protect against heart disease. The oil is often used to nourish the skin and hair and can be used to repel mosquitos. Every 210 days the Balinese make a special offering to the coconut tree, which provides so many uses is every day life. Farmers pray for a plentiful harvest, then sprinkle the tree with holy water. 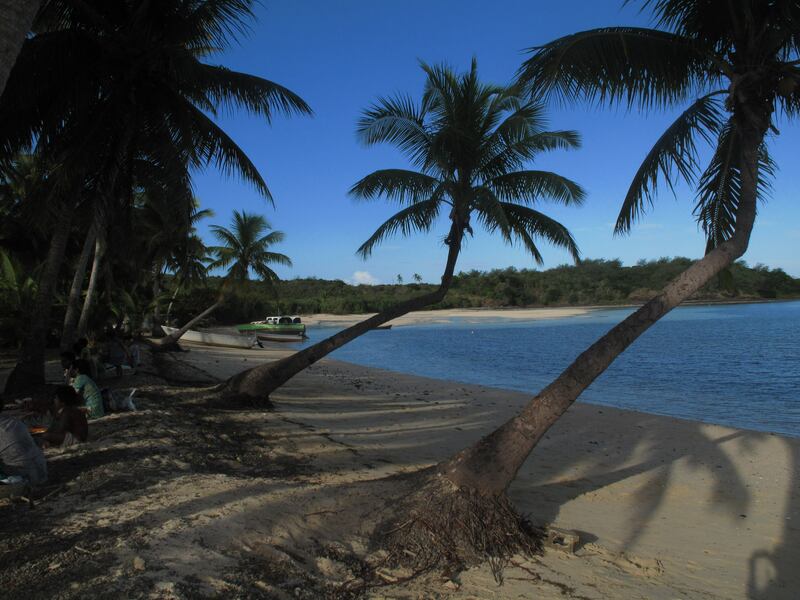 A productive tree can provide up to a hundreds coconuts a year annually for about fifty years. As well as being a source of food the fibrous bark is used for mats, ropes and brushes, and the hard inner shells turned into ladles, small bowls and decorative items. Burning coconut husks give a smoky flavour to satay and other grilled items, and its leaves are woven into temple offerings and decorations.